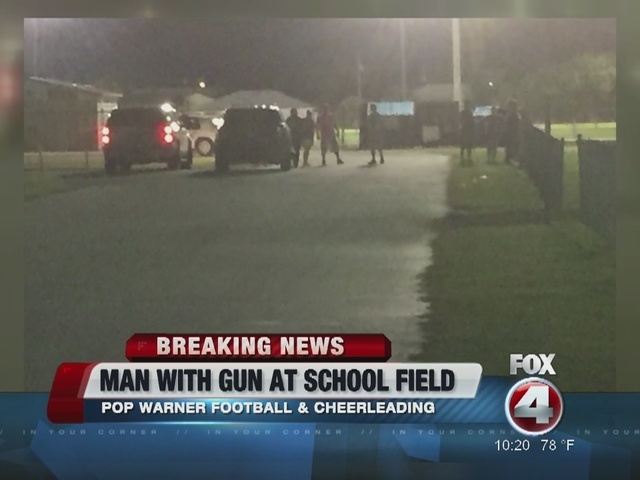 A Florida man was arrested after he allegedly threatened to kill a woman at a Pop Warner football practice on Thursday night. Parents told Fort Myers' WFTX-TV that they had to evacuate the field after the incident. A woman told police that Corrye Aurelious Powell, 29, spit in her face and chest-bumped her before threatening to kill her. The woman also said she saw a gun in Powell's pocket. According to the police report, officers arrived around 7 p.m. and Powell took off running. Powell was arrested at the scene and police later found a .38 special revolver behind the concession stand at nearby Caloosa Middle School located in Cape Coral.